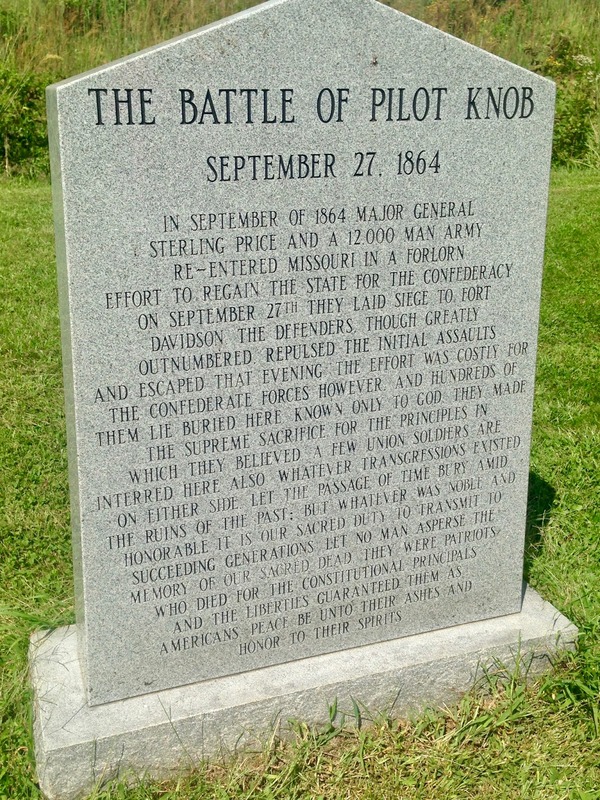 This is a continuation of a series of posts of my Missouri Vacation which I took the first week of September. To start at the beginning go HERE. The rest of the posts, in consecutive order are HERE , HERE, and HERE. Now that the first killing frost has arrived in Wisconsin, our fall drive weekend adventures have sadly come to an end. The good news is, I can now get back to our Missouri Vacation Travel Posts! I left off on day three at Elephant Rock State Park. After visiting that park in the morning, we had a picnic lunch and then headed to two more stops before returning to our hotel for the evening. 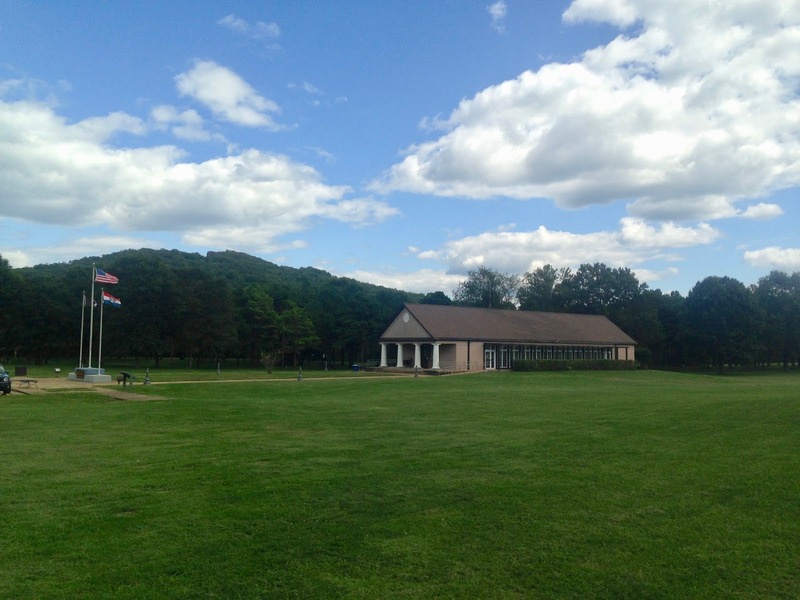 The first stop was to the Battle of Pilot Knob State Historic Site. 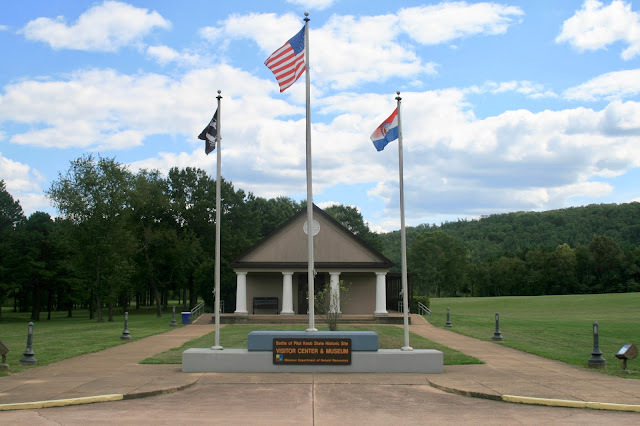 If your a history lover, especially of the Civil War or famous battles, you will enjoy spending a few hours here. We first stopped inside this building and watched a movie and looked at all the exhibits. 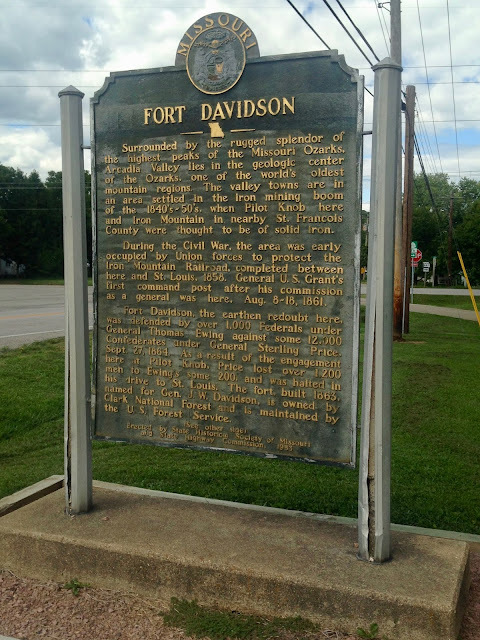 The movie covered the unique history of this area and the role that they played in the Civil War. Rather than try to tell the story myself and perhaps misinform you, I'd rather direct you to their website if your interested in all the facts. Perhaps the most surprising thing to me about the Battle of Pilot Knob was that the fort was not made of stone or wood, but it was made out of the earth. 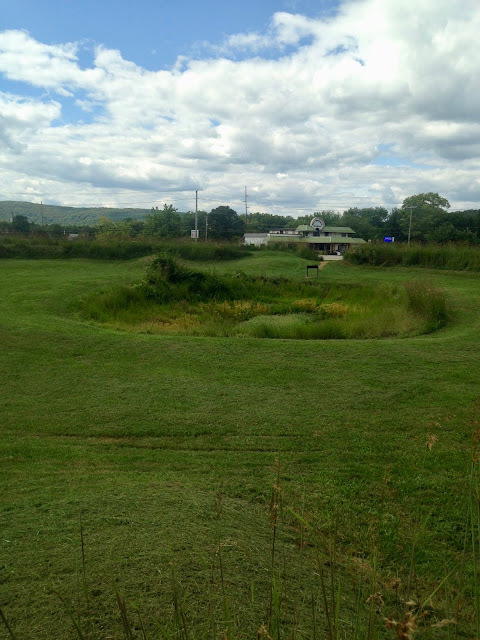 It was in the shape of a hexagon with 150 foot long sides. This is what remains of the fort. 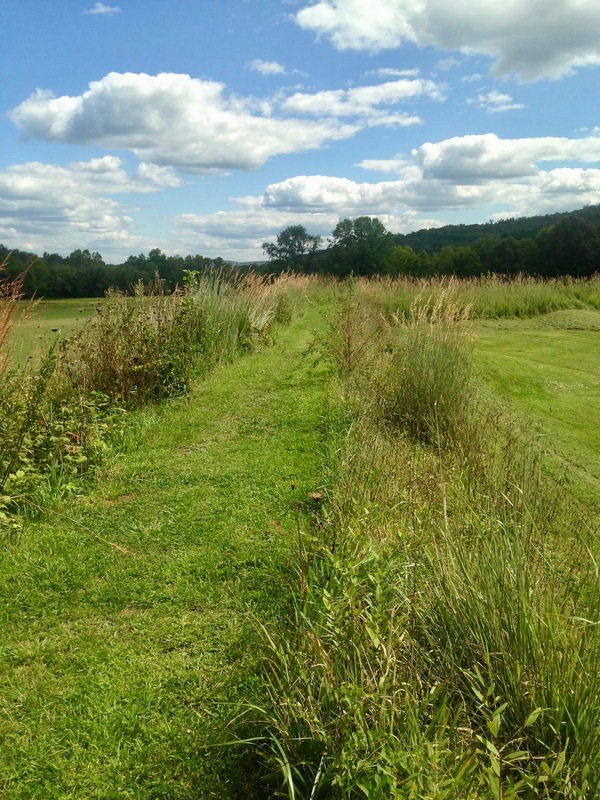 They mow the lawn surrounding the fort, but tall grass grows on the fort walls. 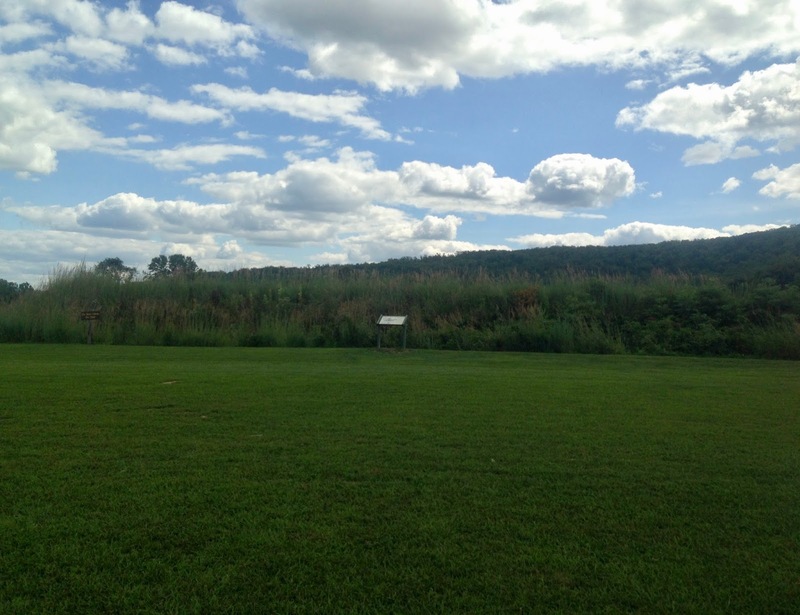 The top of the wall is mowed down so that visitors can walk on top of the earthen walls and see the inside of the fort. 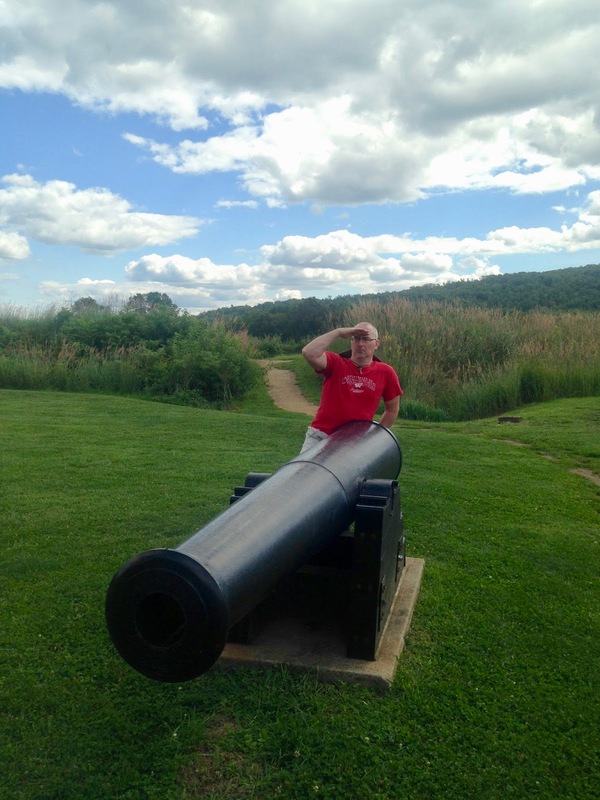 The fort was equipped with cannons and a large ammunition station in the center. Here is the mowed down portion on top of the fort walls. We walked the entire wall after reading all the information about the battle and the fort. It really helped us to paint a picture of the event. This crater, at the center of the fort, is where the ammunition storage was that the soldiers purposely blew up to deceive the Confederate soldiers so they could make their get-a-away. The brown earth path behind my husband leads directly inside the fort, so you don't have to walk on top of the walls if you don't want to. They have several cannons on the property. Hubby is being silly with one in the picture below. 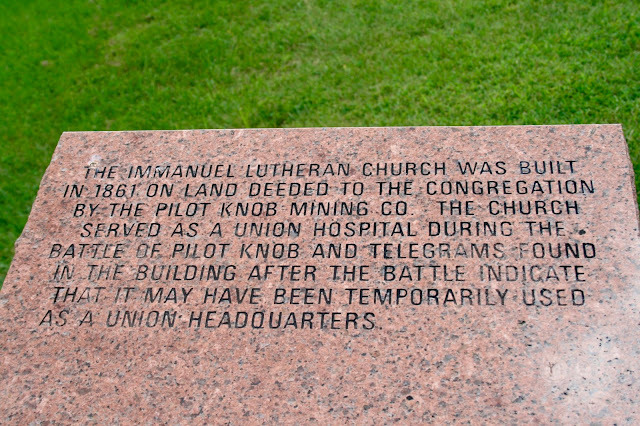 This sign is on the edge of the park and tells the story of the area and the fort during the Civil War. I know this is a politically sensitive time in our country right now, so one thing that struck me about the monuments and information provided on the site was that there was not a "good guy/bad guy" concept. Perhaps that could have been because Missouri was a conflicted state. Although they remained loyal to the Union, their people were divided. 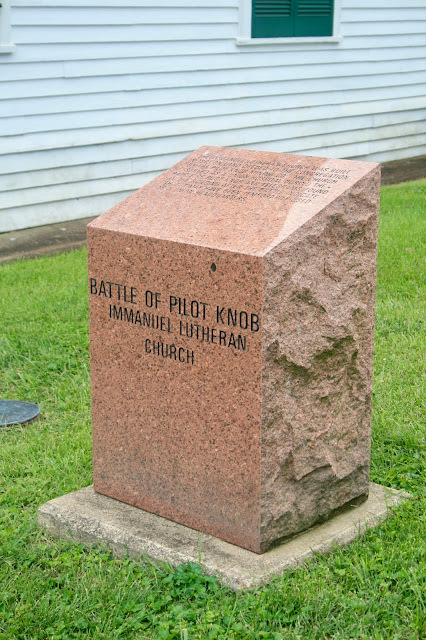 When we were at the Visitor's Center we learned of a church that served as a hospital during the Battle of Pilot Knob. 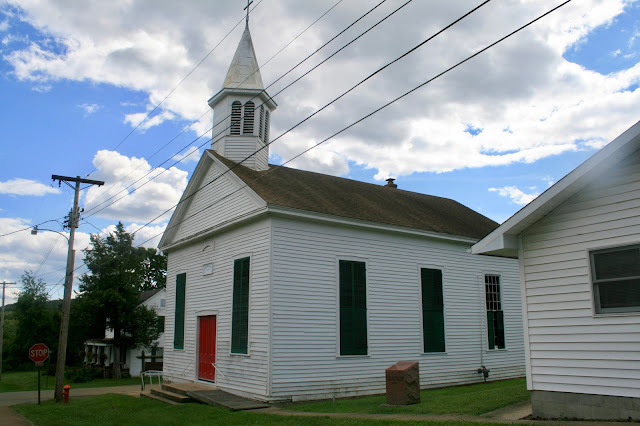 That church is still standing, just a few blocks away from the Historic Site, so we drove over there to check it out. The door weren't open, but I was able to peek through the windows. I couldn't believe how small it was inside! The park is open 10 to 4 daily (except on some major holidays and in the off season, December 1 to April 15 when it's closed on Mondays). 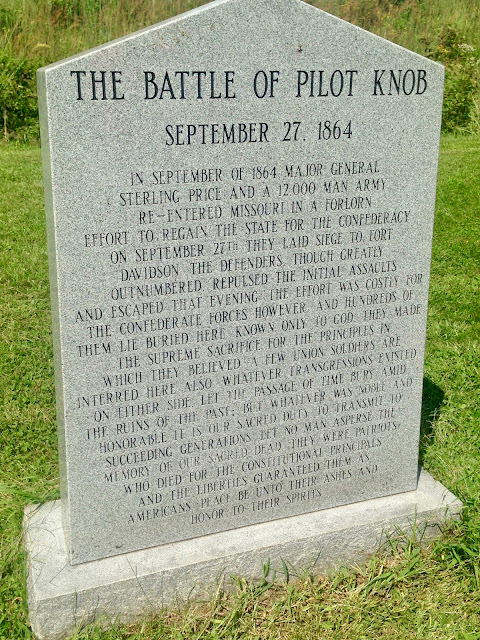 They also do a Battle of Pilot Knob Re-enactment every third year and it is very, very, popular. They were setting up for it when we were there, but of course we couldn't stay to see it as we had to move on in our journey. But if this is something you are interested in, they advise that you make your lodging accommodations very early because of the popularity. I'm always fascinated by historic places, the stories the tell. It's fun to imagine what it was like back then. Me too Brooke! I always like to go to places where I can learn something. I love visiting historical sites such as this! 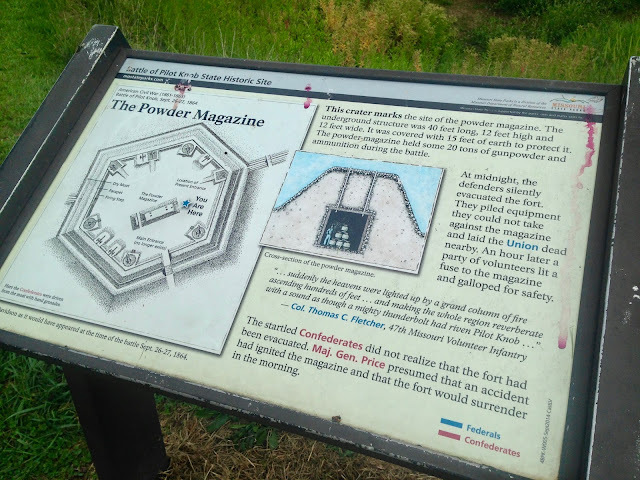 i never heard about this fort and the role it played during the Civil War. Very interesting info! Me neither! It was quite interesting. What a fun + educational trip! That's awesome! I wish more people would visit historic sites. Thanks so much. Enjoyed your view of your visit there. Hubby and I like to visit such places too! Thank you Amy for linking up at the #BloggingGrandmothersLinkParty. I shared your post on G+ and Tw. 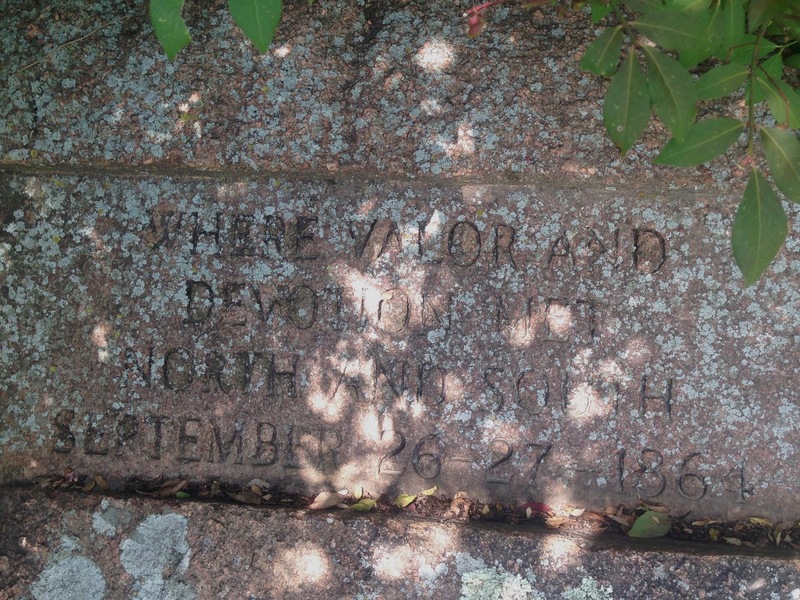 It's always so nice to visit historic sites on vacation and learn something too! I think History is so important! Great photos, Amy. I love visiting historical sites like that.